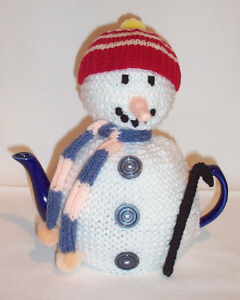 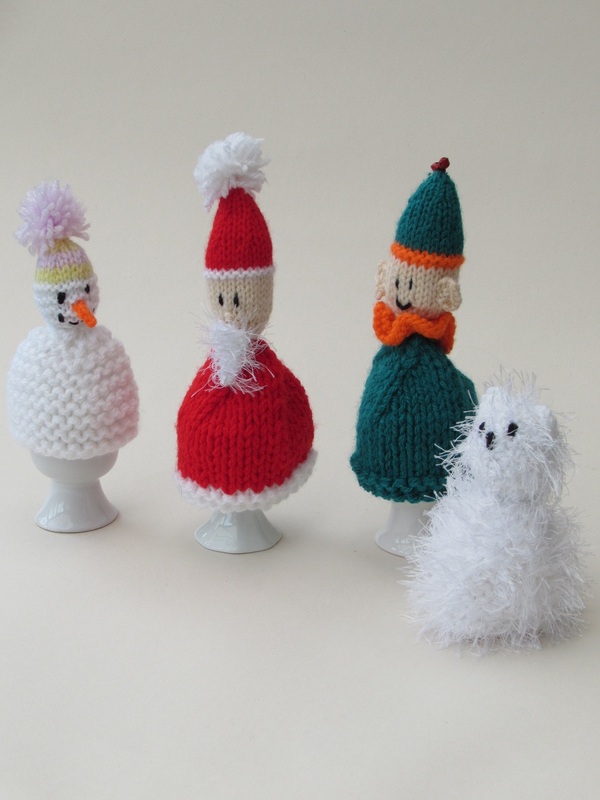 A collection of beautiful Christmas Egg Cosies to adorn your Christmas time boiled eggs at breakfast or lunchtime. 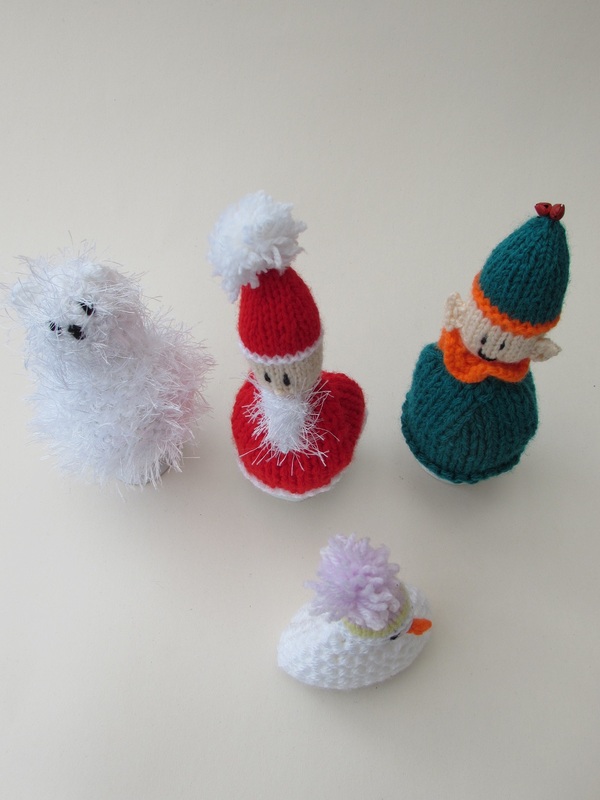 The Christmas egg cosy collection include a Santa, a Christmas Elf, a polar bear, and a snowman. 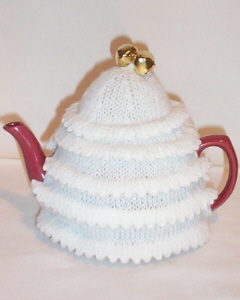 The egg cosies are knitted with double thickness yarn to keep the eggs really warm on their way to the table. 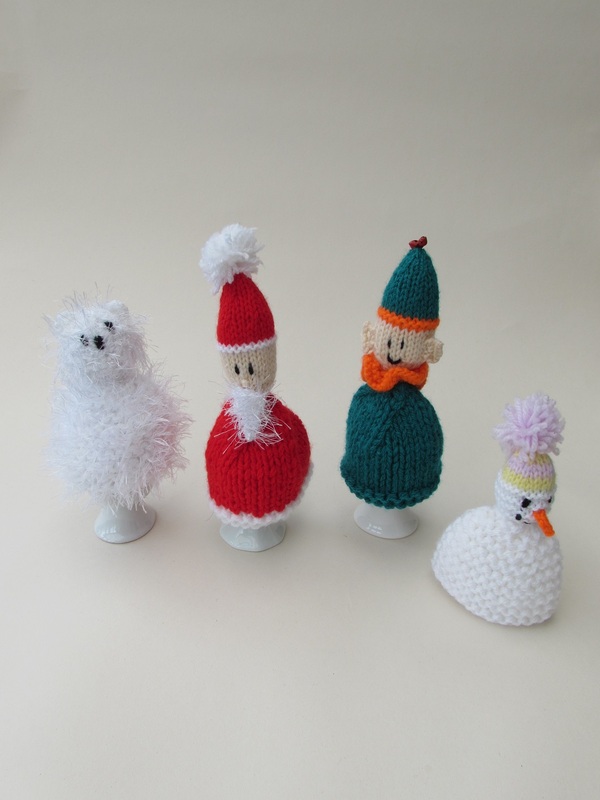 The Egg cosies are great fun to knit and look charming hanging on the Christmas tree when not in use. 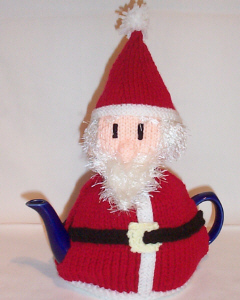 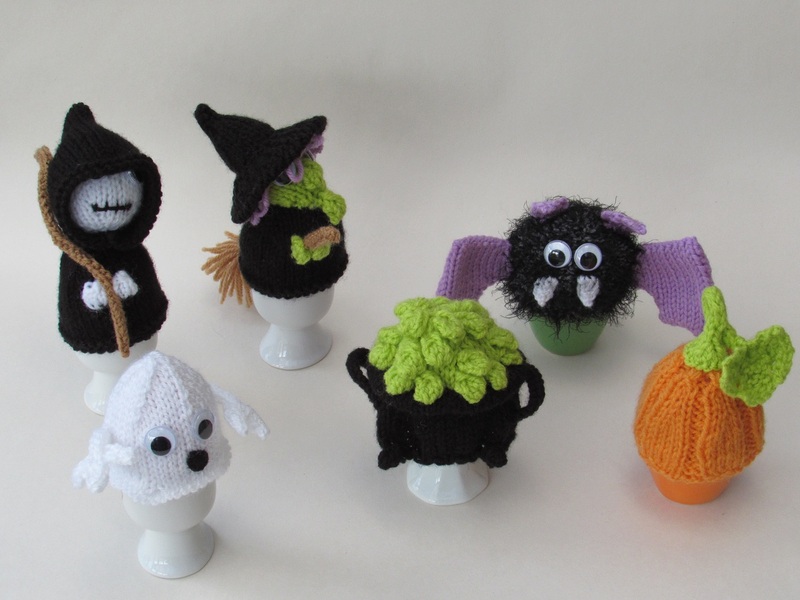 Have a Merry time with your boiled eggs and the Christmas egg cosy collection. 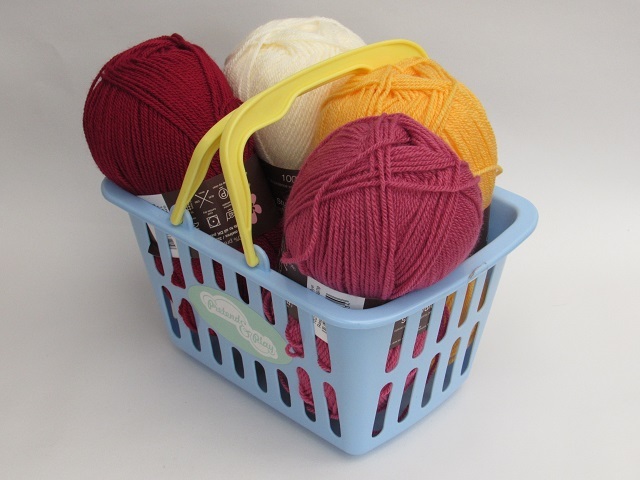 Small ball of white eyelash wool. 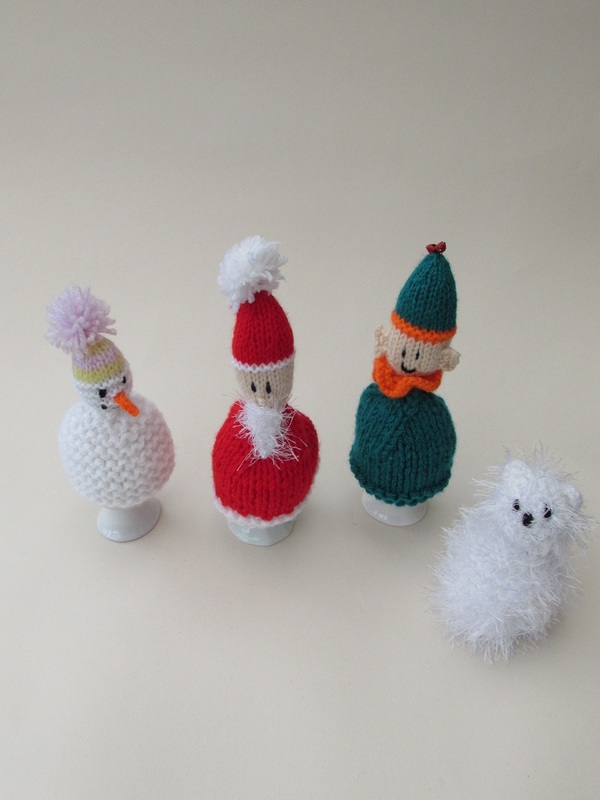 Bells and Pompoms to decorate.